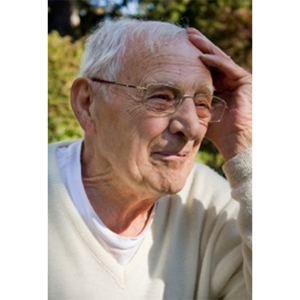 Increase nurses knowledge of and screening for anxiety in older adults in home care. At the end of this course, participants will demonstrate knowledge gained of anxiety of older adults and screening for anxiety by passing the post-test with a score of 80% or higher. Anxiety disorders in older adults are often missed or misdiagnosed even though they are more prevalent than dementia and major depressive. Ongoing anxiety can decrease the quality of life of older adults as well as impact the morbidity and mortality of those affected. Recognizing an anxiety disorder in an elderly person poses challenges due to the physical and mental changes in aging that can mask or impede its discovery. This class is designed to increase your knowledge of anxiety, its signs and symptoms as well as methods to address and treat anxiety and anxiety disorders in your client. Timely detection and implementation of appropriate, evidence-based treatment options can have a positive impact on the older adults quality of life, helping them cope more effectively or overcome their anxiety. This is a self-paced course with optional knowledge check quizzes after each lesson. These non-graded quizzes allow you to check your understanding of the lesson objectives before proceeding to the next lesson. You will be required to take the pre-test and final exam. You must score 80% or higher on the final exam and complete the evaluation in order to obtain a certificate of completion. This course is designed to meet the continuing education requirements of Licensed Practical Nurses, Registered Nurses. It may also be appropriate for health care professionals such as Physical Therapists, Speech Therapists, Occupational Therapists and Social Workers.